The Palms Rug by Serge Lesage features an abstract palm leaf design that tapers in from the outer edges of the carpet. 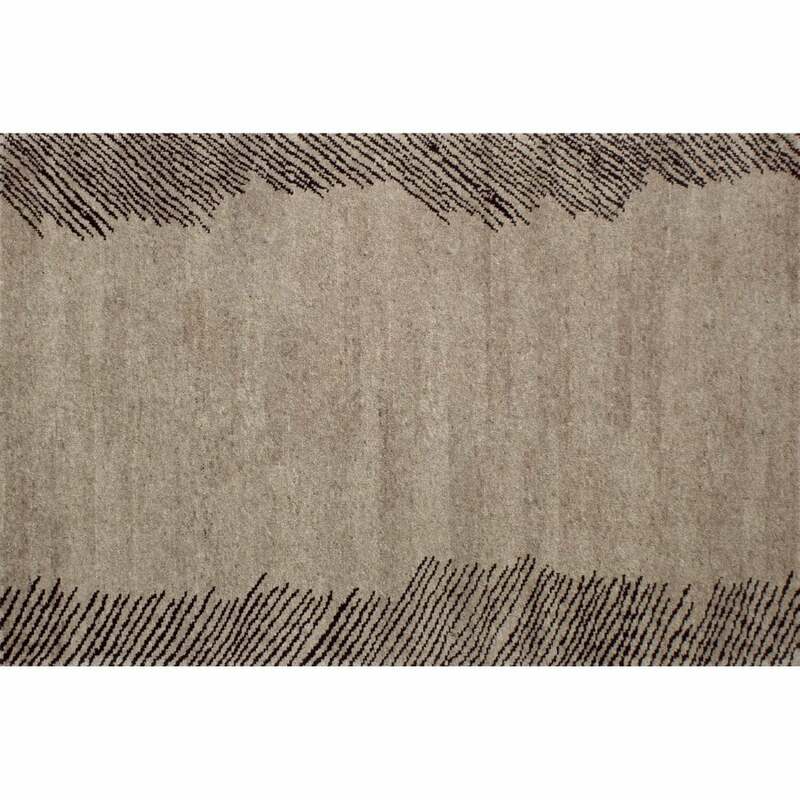 As if drawn in charcoal; they structure the edges of the rug with a minimalist urban style. This contemporary rug is crafted in a natural thread to enhance the black detailing. Hand-knotted in wool and linen, the Palms Rug entwines style and comfort to create a beautiful rug that is soft to the touch. A versatile piece with endless designer appeal, style with natural woods and industrial furniture for a luxe Skandi look. Bespoke sizes are available on request. Get in touch with our team for more information.